After recently watching my 2000th movie, I felt the need to mark this landmark occasion. I therefore have taken the time to list and briefly explain my favourite 100 movies. These are MY favourites films, not the best, but the ones I most enjoy. Ideally, I like to think that my tastes in entertainment coincide with quality regardless. You may disagree with some/most of the choices, but we all have different tastes. Although I took time to arrange the order, it is not set in stone. Just because something is ranked #35, does not make it definitively better than #36. It was just a way for me to generally organize my feelings. Besides, this top 100 only represents 5% of the films I've seen. There are hundreds of other classics you should see. For instance just outside of these 100 are other favourites of mine like Fargo, Pulp Fiction, Dumb and Dumber and Shaun of the Dead. Enjoy! "A great civilization is not conquered from without until it has destroyed itself from within." Born out of the depths mad man Mel Gibson’s mind, comes this largely under-seen gem. Regardless of who he is as a person, he can make one heck of a film. Filmed in the various jungles of Central America, with non-actors of the region, Gibson takes us on one tribesman’s journey from husband, to slave, to sacrificial prop, to fugitive and finally to foretelling an omen of things to come. Spoken entirely in the Yucatec Mayan language, and portrayed as accurate as possible, this truly is an adventure unlike no other. A straight-up action movie with a fair share of gore and excitement, this is an absolute thrill-ride. Also gorgeously shot amongst the luscious jungles, this film tends be my go to for showing off a blu ray. "Real loss is only possibly when you love something more than you love yourself." The story of a delinquent teenager who chooses to squander his true potential and genius in favour of an ‘easy’ life as a janitor could easily turn out to be sappy. Thanks to Damon and Affleck’s mature script and the director’s subtle touch, this never reaches an after-school special mentality. Instead, we have an honest, touching story about maturity. 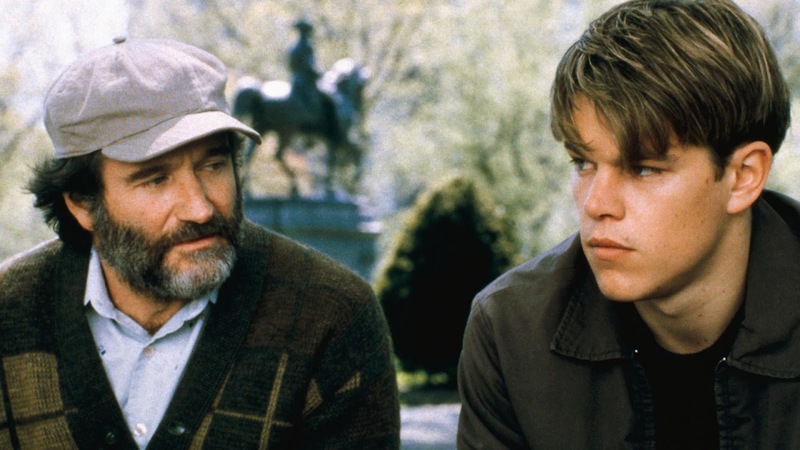 The loveable heart-warming center of it all is of course Robin Williams’ Oscar winning performance. The park bench scene alone, ought to go into the all-time best moments put to screen. "Very odd, what happens in a world without children’s voices." 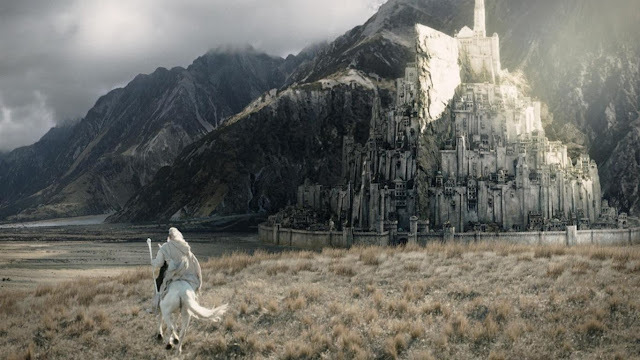 World building is always something you can marvel at in films. In this dystopian future where children are no longer born, seconds may fly by containing dozens of details that visually tell you about the world they are inhabiting. This is a richly crafted film, that shows you (doesn’t tell you) what’s happening. What’s more, is the director seals you in this world using unedited long takes. 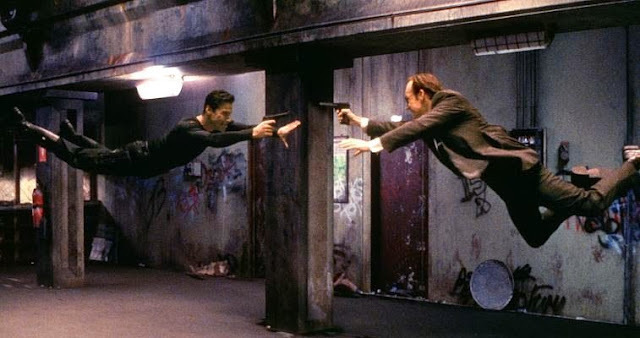 Most of the action scenes are presented in real time by not cutting the camera from beginning to end. We watch a group of escapees flee in a broken down car, while being pursued by motorcyclists, and fighting them off all in one take. Later on, we follow our hero through a war-zone, brimming with tension, and since it is all in a single shot, we are forced to experience this intensity. An amazing, impressively detailed film full of symbolism and intensity that astounds me every time I watch it. "Do you know what it is to be a lover? Half of a whole?" Overrated? Nope. 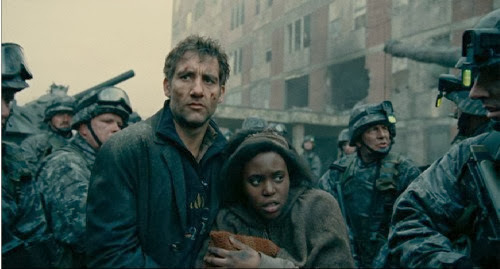 Sure, it does the opposite of the aforementioned Children of Men. It tells us how the world functions, instead of letting us experience it for ourselves. Yet that isn’t to say that it doesn’t visually please as well. It is that oh so rare film in Hollywood that is an original idea presented as a big budget blockbuster. Aside from the concept of ‘dream inception’, the film’s true genius is in the editing and directing. By the end, we simultaneously experience up to four different story layers at once and it is so well put together and laid out that we are never lost. Nolan’s direction is also key to crafting an unforgettable experience with gorgeous visuals. And I must not forget Zimmer’s epic game-changing score that ties it all together thematically. "Each man’s life touches so many other lives. When he isn’t around he leaves an awful hole." Notable for not being successful upon release, and then finding it’s audience on cable every Christmas, It’s a Wonderful Life has become one of the most endearing cult-classics. 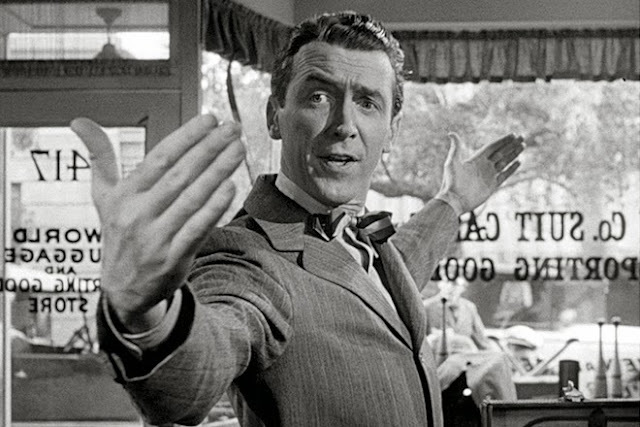 The always delightful Frank Capra directs the always delightful Jimmy Stewart in this quaint small-town film about an everyman coming to terms with how precious life can be. 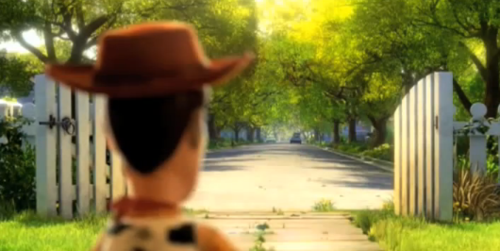 Just like life, the film flows in and out of happy and sad moments. We learn in a Dickensian Christmas Carol-type of fantasy that we all serve an important role in the lives of others. Such a humanistic film. This is such an uplifting film with so many joyous moments that always brings a smile to my face. A disturbingly fun psycho-thriller about a ballerina striving for perfection (loosely based on the classic 1948 film The Red Shoes). 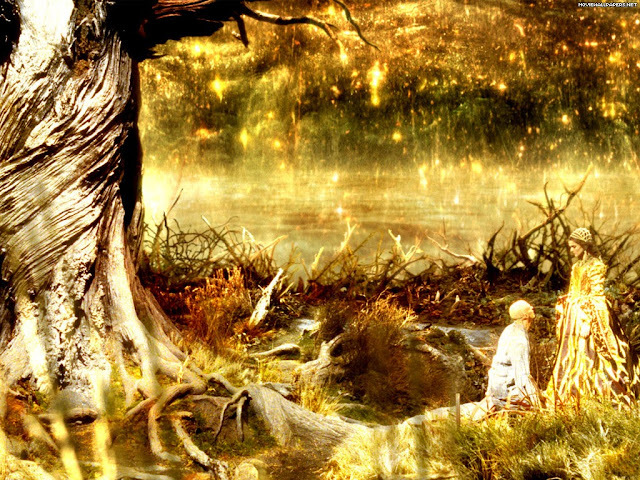 Creatively directed by Darren Aronofsky, who takes pleasure in loading most every scene with both subtle details and not-so-subtle symbolism. He relishes in the shocks and turns, making the film tread just lightly enough into 70s B-movie Horror film territory. Portman does a great job in balancing both the delicate and confident sides of her character. The kicker for me though, is the theme of devoting oneself to your art. How much would you sacrifice to be the best at your craft? "We accept the reality of the world with which we are presented." An underrated film that always gets passed off as ‘that serious Jim Carrey movie that’s always on TBS.’ A fictional town, loaded with hidden cameras is molded around our main character from birth, so that viewers around the world can watch entire his life as a reality show. First off, this film is a wonderful criticism of television and privacy boundaries; which are even more relevant today. Secondly, the movie is a canvas filled with philosophical and existential ideas that will make you ponder. Much like Groundhog Day and Pleasantville, this is a light-hearted fun movie with surprisingly large-scale aspirations. "My childhood was typical: summers in Rangoon, luge lessons…"
Before the gross-out, not-as-funny sequels came out, there was this original comedic masterpiece. Not that spy movies hadn’t been spoofed before (Casino Royale, Top Secret! ), but this riff on the older James Bond movies is the best. It simultaneously lampoons and reveres 007, while creating it’s own identity and voice. For me, the comedy has not gotten stale, and I guffaw continually while watching the movie. Everything makes me giggle: the bombastic Bond-ian soundtrack, the puns, the deliberately cheap action, all of the villains and most notably Dr. Evil’s backstory monologue in the self-help parenting group. "I need you to take your ego out of the equation." James Bond had come a long way to get to this point. Essentially the 3rd or 4th reboot of the series, this is when they managed to take on an entirely new style and honour everything they had done before. Taking a cue from the serious Dalton films of the 80s, the charm of the first Connery films and the style of the recent Bourne films, 007 was ready for a new generation. 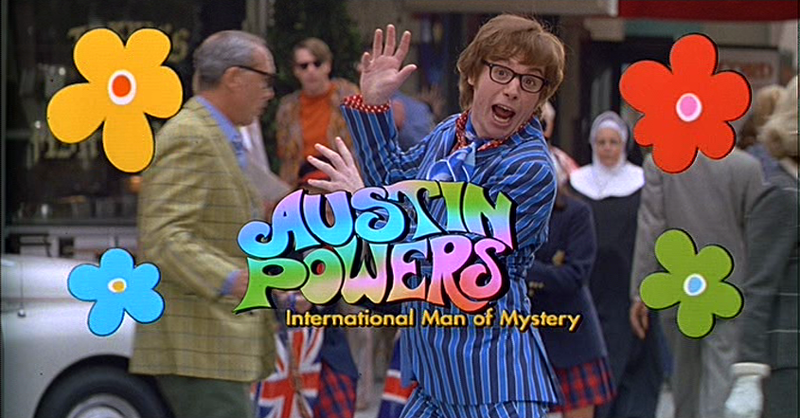 Essentially it has many of the fun Bond-ian throwbacks, but is an incredibly mature film. Daniel Craig changes Bond from a surface-deep caricature into a real presence. Add in another great song-title sequence and some of the best action sequences of the decade and you have a perfect action film. "Death is the road to awe." A very polarizing film: most people either find it pretentious and over-complicated or beautiful and inspiring. Hugh Jackman and Rachel Weisz play star-crossed lovers over three different centuries and settings: as Spanish explorers, present-day doctors and future Zen space travelers. It sounds messed up and confusing, but it’s linked together using cleverly smooth transitions, gorgeous music by the Kronos Quartet and career-best performances by both actors. There are astonishingly no computer graphics involved. Instead, the director Aronofsky, used microscopic shots of chemical reactions to achieve the unique visuals of this film. This is also a beautifully emotional film about love and loss. A one of a kind, meditative piece of art that continually lulls me into it’s spell. 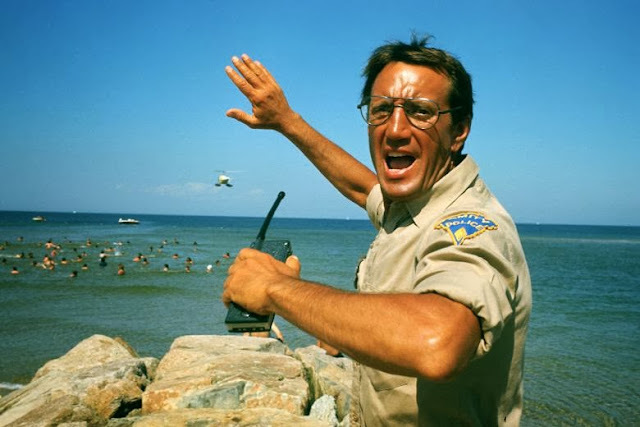 "You’re gonna need a bigger boat." Classic music. Classic characters. Classic lines and monologues. Classic story. Classic direction. Classic scares. Classic scenes and shots. One could call this a Classic Film. "My husband does not know you. He wouldn’t know you, somebody like you." A small-town coffee shop owner stops some burglars and becomes a local hero. His violence inspires his son in school and attracts the attention of some out-of-town mobsters. If you were ever wondering what a slow burn movie feels like, this is it. The pacing plods along so carefully throughout and it all leads to a perfect conclusion thematically. The story shows us the direct and indirect effects of violence. As humans, we get caught in a never-ending cycle of violence. It may be cynical, but this is an expertly crafted film, with some of Canadian Cronenberg’s best framework and composed shots. Not to mention Viggo Mortensen’s amazing work. "It’s not going to stop, ‘til you wise up." Based on the films of Robert Altman, this is a 3 hour soap opera in the best way possible. 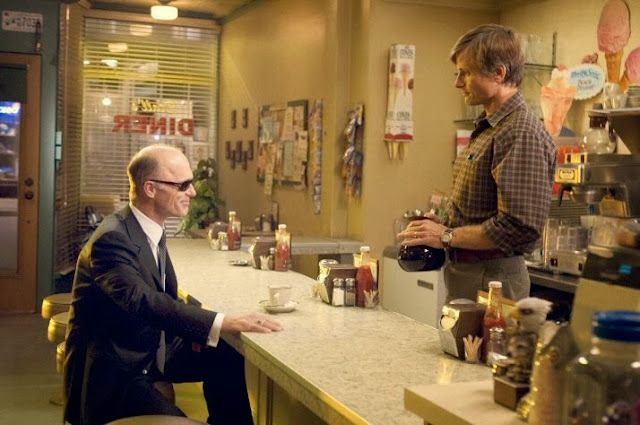 An all-star cast of about 15 players share the spotlight in a series of inter-related scenes. This is a sprawling opus that can seem indulgent but I see it as an all-encompassing saga about coincidences, our connections and the effects of poor father-son relationships. Each actor puts in some of their best work and each character has a perfect storyline. We experience several character arcs reaching simultaneous highs and lows through masterful editing. Everything is ingeniously sown together and it sweeps you along this surprisingly breezy chronicle. 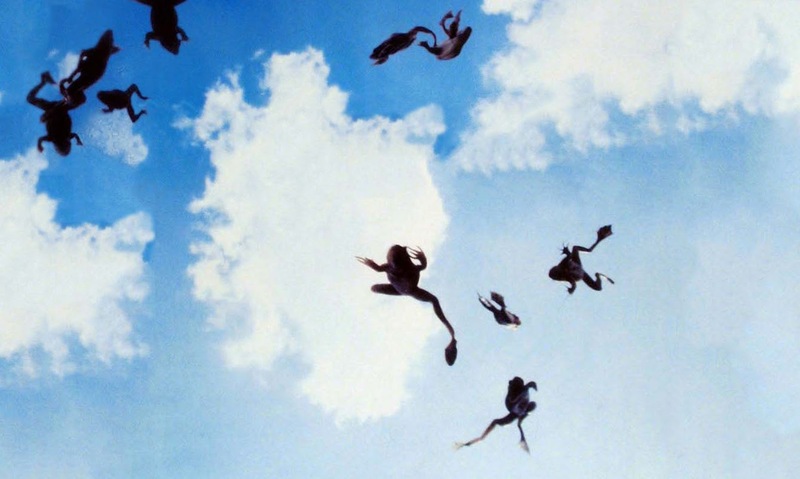 The opening section foreshadows elements of suspended disbelief, therefore later when we experience flying amphibians and a breakout musical number, it oddly fits in and magically joins everything together. Often imitated, never duplicated. At the time, this film was innovative for the bullet time special effects, cool premise and staging top-notch martial arts sequences. Moreover, the reason this is still a favourite of mine, is how fully realized the lore of it’s universe is. The film is steeped in loads of philosophical ideas (just take a listen to the Philosopher’s feature commentary), based on the age-old Hero’s Journey (like Star Wars or even Harry Potter) and done in a stylish East meets West form of storytelling: Buddhist and Zen-like connotations mixed with modern Hollywood comic-book framed action. It’s a real cornucopia of ideas and styles told with beautiful and innovative direction. "Someone started all this, and I’m going to find them." 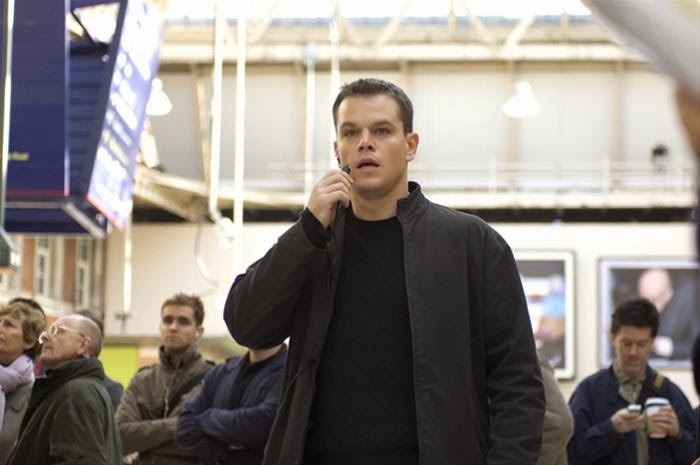 The Bourne trilogy was so fresh and stylish that they influenced nearly every action movie for the past decade. It’s a small contained story built upon little puzzle pieces coming into place. Our hero is fueled by a single purpose and his actions tell more than words. The most important part of these films however, is the action. Using a ‘never-better, handheld shaky camera’ technique we get forced into the fights. The tight close-up shots raise the intensity and reality, yet thanks to fantastic editing, we never lose our bearings. This third entry in particular, has the biggest and longest action sequences, the strongest score and obviously the satisfying conclusion to Jason Bourne’s quest for identity. "I don’t want to be a product of my environment. I want my environment to be a product of me." Scorsese is at the helm, and he does a typically fantastic job; especially in propelling us through, maintaing intensity and some fancy quick editing. But the highlight for me here is the crackerjack script. It is essentially a cops & robbers story infused with numerous twists and turns. I don’t mean twists as in surprise plot twists, but rather twists in regards to the mechanics of character relations. 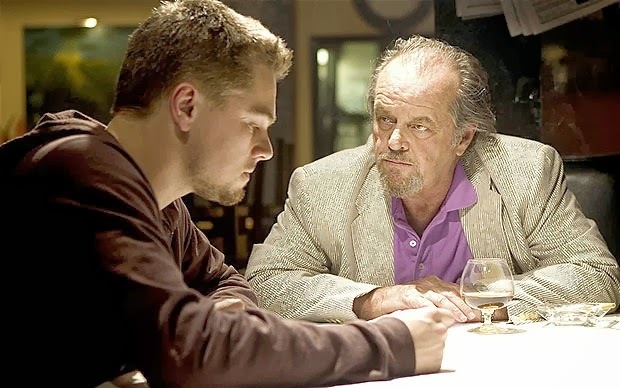 The script starts by giving many of the characters plenty of screen time, and develops our main cop & robber (the always amazing DiCaprio and Damon) equally. Then throughout the film, there are constant power struggles and switches between who is in control. Even counting the minor characters, someone is always gaining power in any circumstance, only to have it taken away a few minutes later. It’s a genius game of cat & mouse...& rats. "Do you remember the Shire, Mr. Frodo?" Especially when watching the extended editions, it is best to book off an entire day and enjoy this trilogy as a single film. At it’s core, the story of little Hobbits making a journey across Middle Earth to destroy a ring is all that really happens. Along the way, we experience moments of hardships, friendships and battles. That’s all fine and dandy, but what makes these fantasy films important is the visual experience. I don’t marathon this adventure because I find it enlightening or intelligent. It’s the meticulous attention to every detail. Director Peter Jackson fully realizes Tolkien’s world with care and strong, consistent direction. Like any good fantasy, you don’t realize you are watching the film, you are just there. The beautiful locations, the intricate costumes and props, the grand scale and the consistency of dedication on all fronts makes for an unmistakably unique vision and experience. "Show a little backbone, will ya!" Taking it’s cue from Star Wars, this is could be classified as a Revisionist-Adventure-Serial. It follows an episodic approach, and links numerous action set-pieces together, essentially making the entire film into a never-ending crescendo. Steven Spielberg brings his all and never lets up. With so much action going on, and rarely any downtime where we’d normally get to know the characters, he instead infuses character moments within the action. We learn about them through their actions. Harrison Ford also makes more out of the hero by making him grizzled and weary, yet still competent to throw his way through the film. This is what every action movie should strive to be. Fun, fast-paced, efficient, exciting and memorable. There’s a reason most everyone has seen these movies. George Lucas created an entire universe, rich in mystical lore and creative in every sense. He made it work using fantastic groundbreaking effects and the age-old story of an underdog accepting his destiny and triumphing over evil. The gadgets are cool. The characters and creatures are fun. The lingo and jargon are everlasting. My favourite part about the trilogy, is the style. Lucas never presents it too seriously outside of its own space-opera melodrama. He keeps it fun, and in the style of old sci-fi serials like Buck Rodgers. 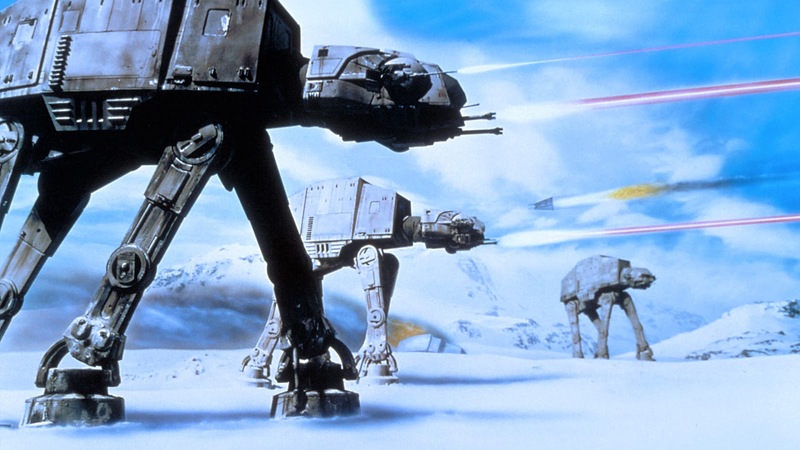 And for the record, Empire Strikes Back is of course the best and Return of the Jedi is great. "Let’s not bicker over who killed who." You may not like the Python sense of humour, but at the very least you have to appreciate their creativity. They take bold choices and run with it. Full commitment to singular ideas and jokes based on gimmicks. They give it all and take it to the limit with a fake opening, silly credits, exaggerated music cues, general yelling, musical numbers, a man running in the distance then stabbing everyone, fireball explosions and the audacity of ending the movie before it’s over. They don’t just tell jokes, they find creative ways to make you laugh. So yes, it formalistically creative, but as it so happens, I do also find it hilarious! "Hey Look! It’s Enrico Pallazzo!" Comedies are great. Everyone loves them. Not everyone loves the same ones because of our different senses of humour, but we all like to laugh. For me, I like to giggle, I like silliness. Not necessarily low-brow, but foolishness. In my comedies, I like buffoons and tomfoolery. Puns and sight-gags. Determinedly zany sound effects and music cues. 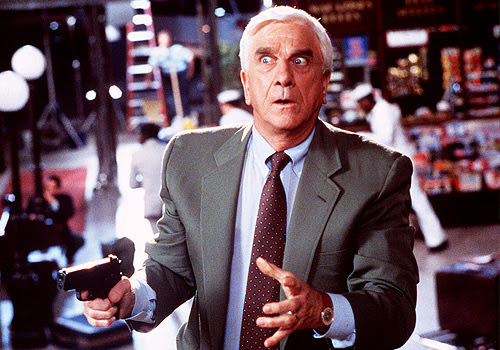 Leslie Nielsen’s slapstick-yet-straight performance plus the script for The Naked Gun is all that. From beginning to end, our bumbling Detective Drebin un-be-knowingly stops an assassination plot in the style of Inspector Clouseau, but somehow: sillier. To this day, Frank Drebin is my 2nd favourite movie character. The reason they extended the number of nominees for Best Picture at the Oscars, this is a true modern masterpiece. Director/writer Christopher Nolan takes his typical gritty, noir-influenced, layered editing type of filmmaking and applies it to the comic-book genre; specifically the already moody and dark Batman universe. But this Universe has been successfully explored before (in the campy ’66 film, the gothic Burton film and the animated ‘90s TV show), so for Nolan to make this one stand out, he decides to make this universe part of our own and makes it as realistic as possible. And don’t worry, I’m not ignoring his first entry Batman Begins. That one was groundbreaking and amazing, but this one takes the cake. The Dark Knight is tighter, has a grander scope, is loaded with layers of symbolism and allegories for the current political climate but most certainly important is the Joker. Heath Ledger’s performance electrifies the screen and takes an already beloved character (as portrayed in the films I mentioned above) and somehow makes this chaotic villain into something new and disturbingly perfect. The King’s Speech was good, but was it better than Black Swan, Inception and most importantly Toy Story 3? I’m still bitter about that Oscar. This is the best trilogy ever because it is the most consistent in quality and each film got better. Sorry Lord of the Rings, you’re not as entertaining and sorry Star Wars, you’re not as evenly made in quality. Full of charming characters, Pixar wit, inspiring animation, genuine comedy, consistently great new characters and a creative little world, the Toy Story films are the perfect blend of entertainment and quality filmmaking. Even more impressive are the subtle ideas they bring up like existentialism, immortality, ownership of identities and of course friendship. A perfectly formed trilogy that can even bring me to tears in the later 2 films. "What people ought to do is get outside their own house and look in for a change." Hitchcock was awesome. Like Tarantino these days, he knew that you don’t just make a film, rather you should make art disguised as entertainment for the audience. They both knew how to have fun with their viewers and play with expectations. 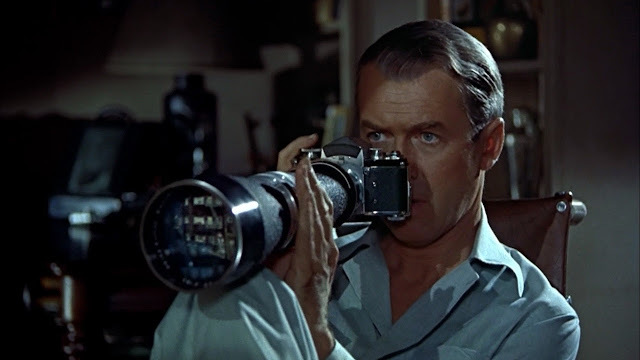 In Rear Window, Hitchcock experiments with perspective. When a photographer (someone who hides behind a lens) suffers from a broken leg and forced to stay in his apartment, he has nothing to do but observe his neighbours across the street. Curiosity gets the better of him when he begins to suspect a fiendish plot across the way. The entire film takes place in our peeping-tom’s window room, and we are forced to watch him watch them. Hitchcock forces us into his shoes and we become the curious viewer in more than one way. The layers of perspective which the director creates are fascinating and it informs us about how we perceive life and movies. "So why don’t you make like a tree and get outta here?" This and Raiders of the Lost Ark are the two most efficient movies ever. They both sweep you from beginning to end, without pausing for useless scenes; the fat has been trimmed. 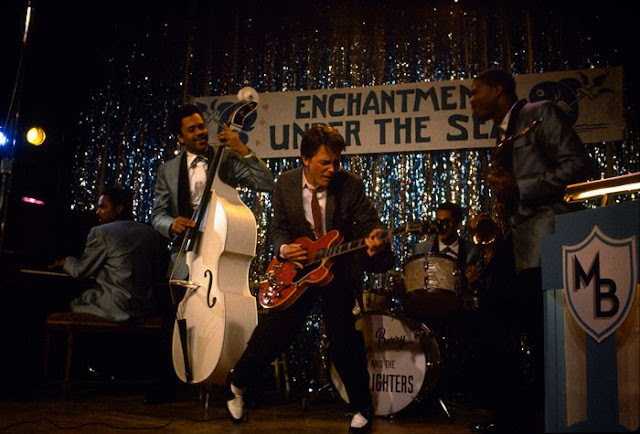 The script for Back to the Future (written and directed by the once great Zemeckis) doesn’t waste time (pun intended). There are constant obstacles thrown at our heroes, and it’s a ton of fun to watch them narrowly get out of each pitfall. That being said, it wouldn’t be nearly as fun if every single character from top to bottom weren’t endearing. Marty, Doc, Einstein, Biff, George, Lorraine, even Principal Strickland are all some of the most lovable characters I know. Add to that the music, the novelty of time-travel, the tight editing that always reminds us of the ticking clock and you have one of the most perfectly made movies ever. 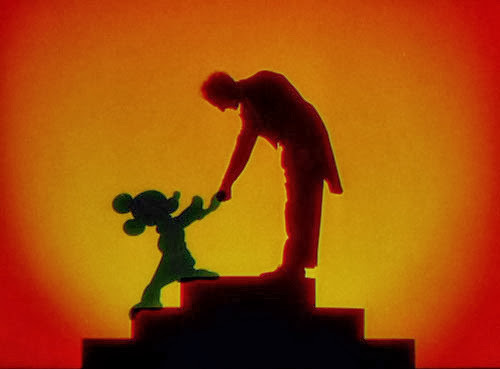 "Walt Disney described the art of animation as a voyage of discovery into the realms of colour, sound, and motion." I hope it’s clear from this list, that I tend to favour films that strive for creativity and something new. These two experiments in music and animation are perfect examples of such inventiveness. The fusion of classical music with inspired visuals is the perfect combination of what I value; essentially Classical Music Videos. The music performances themselves are top-tier recordings and the selections include many of my favourite pieces. The animation is kept fresh through numerous different styles and ideas. There are a couple that don’t work, but the rest are gold. My highlights are the classic ‘Sorceror’s Apprentice’, the satanic ‘Night on Bald Mountain’, the primordial lengthy ‘Rite of Spring’, the atmospheric ‘Nutcracker Suite’, the stylish ‘Rhapsody in Blue’, the delightful ‘Shostakovich Piano Concerto’ and of course the gorgeous ‘Firebird’ suite. These movies transport me to a realm of art akin to a moving art gallery. "Some places are like people: some shine and some don’t." There are many horror movies out there, and the reason they never get any credit is because there are so many bad ones. Granted, some are bad on purpose. But sometimes it takes a well-known director with a strong pedigree to take them to the next level. Stanley Kubrick’s adaptation of Stephen King’s haunted house/murder story is a cut above the rest. He brings his bleak, cold vision to a chilling story. It is as artsy as a horror movie gets. There are curiously gripping long-takes that extend your sense of dread, and he frames every shot with precision and purpose. For such a creepy film, it is remarkably beautiful. The atmospheric score undercuts each scene with unnerving tones that evoke an extra creepy layer. The imagery and unmistakable Kubrickian atmosphere lingers with you long afterwards. The reason it works so well is that it does not rely on its scares to make it memorable, it uses fine craftsmanship to maintain creepiness and dread throughout. Some may call it blasphemy to rank Crusade above Raiders, but as fantastic as they both are, I have so much more fun with this entry. Everything that I mentioned for the first film, applies here. The great character moments that are revealed through action, the fun opening scenes and an equally amazing moving-vehicle action set-piece. Yet in true trilogy format, this has all that and more! For me, there are two main improvements. Firstly, even though the Ark revealing is memorable, the Holy Grail gauntlet is a much stronger climax. Everything prior had to lead to this and it resolves so much more with the characters. Secondly, we have the bonus of having Sean Connery portray Jones Senior. James Bond is Han Solo’s dad! The bickering between these two develops a memorable relationship that adds a layer of fun to an already outstanding action film. I will never get tired of watching this. "Here’s one thing I learned from the movies!" Once sound was ushered into Hollywood in the late 1920s, musicals became the most popular form of entertainment. Thanks to huge production values, flamboyant camera moves, the world’s biggest stars and accessibility for all to see, people could experience and re-watch more than they could with the smaller live musical stages. 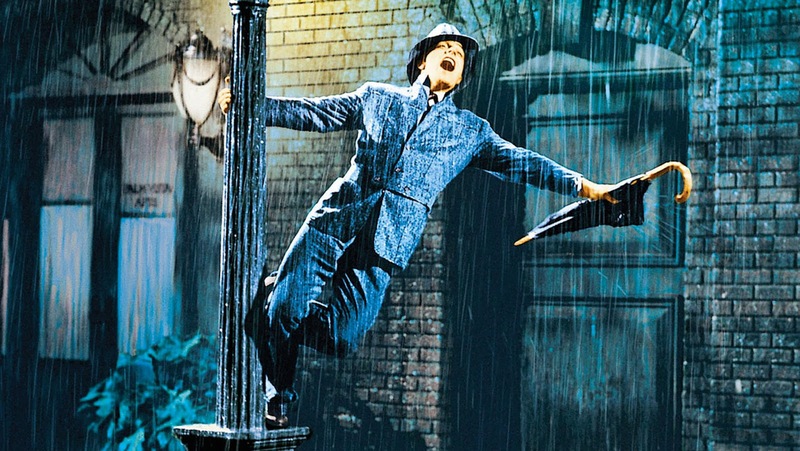 After Fred Astaire and Ginger Rogers pioneered these spectacles, Gene Kelly perfected the musical with his An American in Paris and Singin’ in the Rain. Aside from being a talented director who knew how to dazzle your senses, he was also one heck of a dancer. The combination of the colours, orchestrations and vibrant sets with Donald O’Connor and Kelly’s fancy footwork is truly hypnotizing. They dance up a storm and never do the same thing twice. I don’t need to mention which musical numbers are the better ones, because they are all outstanding. And if you’re not into song & dance, it is also a fun story about the follies of the movie industry during the introduction of sound. "There are nearly 13 million people in the world. None of those people is an extra. They’re all the leads of their own stories." The third of 4 screenplays by Charlie Kauffman on my list, only this time he is directing too. This is a complicated movie, and I don’t fully understand it all yet. 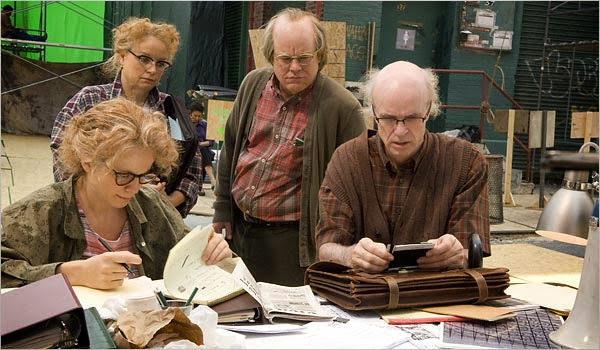 I suggest you check our Roger Ebert’s eloquent review of the film where he even states that multiple viewings are required: http://www.rogerebert.com/reviews/synecdoche-new-york-2008 In the meantime, all I can say is that as we witness a man creating a world inside a world inside his world, it reveals a story of isolation and selfishness that is not often explored in film. The performances by a plethora of character actors are all fully-fleshed despite the short appearance time for some. Kauffman pulls off a very difficult melancholic tone with elements of dark comedy. But as always, his layered, creative script gives you a film like no other (with the exception of his own Being John Malkovich). This is a film that I just NEED to experience again and again. "A Toon killed his brother. Dropped a piano on his head." From the IMDB plot description: A toon-hating detective is a cartoon rabbit’s only hope to prove his innocence when he is accused of murder. This is certainly a lofty conceptual goal. This is one of those films wherein its mere existence is impressive and important. Aside from the legal logistics of having Mickey Mouse and Bugs Bunny in the same frame, the accomplishments of the technical varieties are novel. 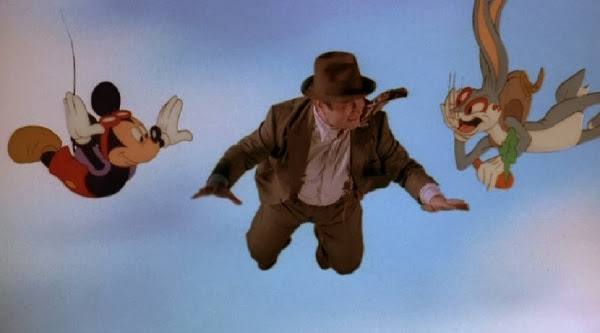 The blending of animation with real life still looks pretty good these days, especially thanks to the convincing acting by both Bob Hoskins and Roger Rabbit. But technical achievements aren’t enough to make a great film (see the Tron movies). This is also an entertaining fusion of comedy with cartoons with film noir. The elements of the latter genre are all spot on and bring a level of sophistication to the whole film. Jessica Rabbit is a classic example of a femme fatale, the villain’s scheming plot is unnecessarily convoluted (just like a classic film noir), our detective’s reluctance reminds us of a Bogart anti-hero and the score is a wonderful homage to the genre.
" Ernest Hemingway once wrote, 'The world is a fine place and worth fighting for.' I agree with the second part." A police procedural that follows a serial killer who chooses his victims according to the seven deadly sins. This film is great because it’s not necessarily about the methods of catching the murderer; the cops essentially haphazardly stumble upon each clue. What is more important thematically is how the killer is a reflection of the world around them. This is a deeply cynical film, and very uncharacteristic of my tastes, but it’s just sooooo good. The city the film takes place in, is never specified and I take it to represent any city, or rather our urban society. And aside from the killer, the dark city which constantly rains, is always looming over our heroes. They always appear to be tired and burdened by their surroundings. 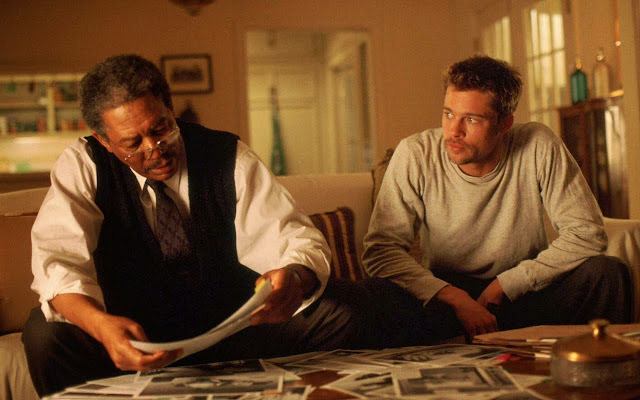 Morgan Freeman’s constant tiredness and Brad Pitt’s frustration just go to show the different ways this disturbing world keeps us down. The aftermath of the grizzly murders nearly take the film into horror territory, with images that stay with you long afterwards. Essentially, this is an accomplished, beautiful film with dark imagery that is effectively cynical and impressive. Se7en is also the perfect example of a ‘twist ending’. The shocking turn at the end isn’t necessarily out of nowhere and it wraps everything up absolutely perfectly. Not documentaries, not movies. These are pieces of art using moving images and music. There is no conventional narrative; rather a series of expertly filmed images. In Koyaanisqatsi, we experience shots of nature juxtaposed with scenes of man-made regions. In Baraka, we are presented with contrasting cultures from around the world. The purpose of both, is that you just sit, watch and meditate on the images. You develop your own thoughts on what is presented. The cherry on top is the music. One has a fascinating synth score by Philip Glass. The other has religious chants and music from around the world. Without words, this is all we have to go on, and it creates an austere and magical journey through our vast planet Earth. "Just because I cannot see it, doesn’t mean I can’t believe it!" 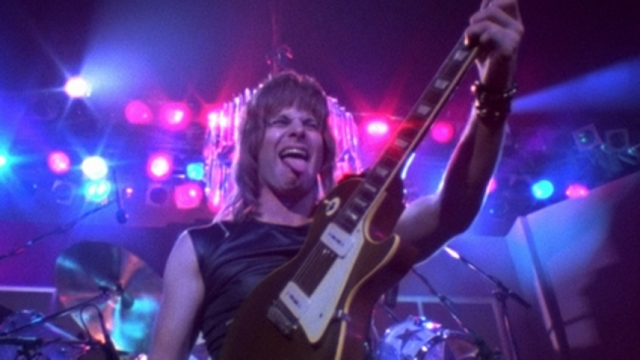 "What day did the Lord create Spinal Tap, and couldn’t he have rested on that day too?" When it comes to mostly improvised mockumentaries, this is the pioneer. Christopher Guest has gone on to make other amazing entries into this microcosmic genre like Best in Show and Waiting for Guffman, but Tap is still the tops. In this handheld, interview based comedy, we follow a once popular fictional metal band called Spinal Tap, who are now in denial of their floundering fame. The comedians who embody these rockers have created entire personas out of minute improvised lines, all while poking fun of rock stereotypes. It has been said that when the film was released, Aerosmith saw the film and didn’t laugh once because it was too close to reality. Just watching these sad-sacks of musicians deny their failures and quarrel over nothing of importance is perfect satire of the world of rockstars. These talented comedians also happen to be talented songwriters who write and perform hilarious music throughout. We learn so much about each character through their music and the improvising. And to a musician myself, this is perfect comedy that hits all the right notes. 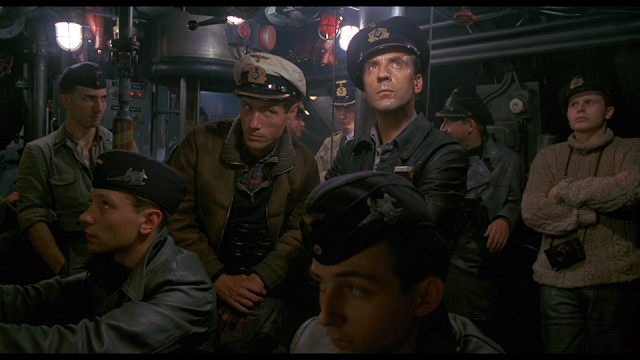 After a raucous going away party we board a German U-Boat and set off to fight in WWII. This is an intense adventure in the belly of the beast. We are forced on board this cramped vessel and with a strong anti-war agenda, experience the losing war from this crew’s perspective. They dangerously dodge explosives and evade torpedoes only to be thrown into another battle. In-between these harrowing moments we are rarely given room to breathe as the sub is forced to stay below the surface and maintain silence. The performances are natural and you make many friends while on board. The terrific sound design and claustrophobic direction requires you to watch this on a big screen for an engrossing experience. Do yourself a favour and find 3.5 hours to transport yourself aboard an unforgettable journey into the depths of war. "Maybe if we do that, we all earn the right to go home." A WWII movie presented as an action movie. It sounds disrespectful, but with Spielberg at the helm, you can bet that he never undercuts the characters and he honours those that underwent theses horrific events. It goes without saying that the opening 15 minutes are a part of film history. With some frenetic camerawork and the gritty cinematography by Kaminsky, we experience firsthand the horrors of the Omaha Beach invasion on D-Day. From there, Spielberg takes us on a mission with a band of men in search for Private Ryan who has gone missing and is ordered to return home. Led by Tom Hanks and followed by a platoon of great character actors, we enjoy our time spent with these men and feel safer with them around. Contrary to some critics, the action does keep up after the opening and it is all superb. The final tank battle in the city is just as intense, if not more, because we now have a handful of characters to root for. Overall, this is just solid filmmaking on every front. An action movie with heft and solemnity. Spielberg’s most epic film and thanks to the action, ultimately re-watchable despite the serious tone. "So, how do we know who’s human? If I was an imitation, how would you know if it was really me?" As is evident from this list, not too many horror films earn my appreciation. They have to be something very special for me love them. 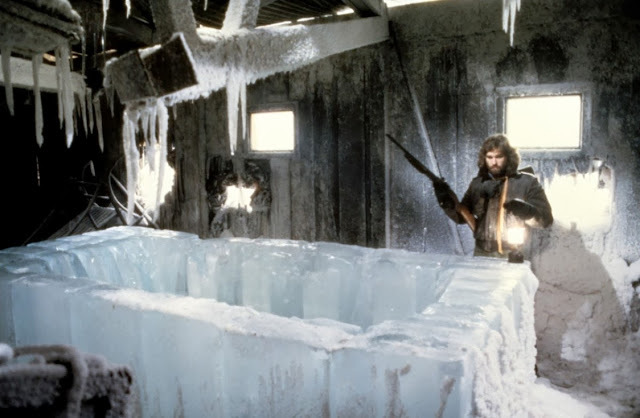 John Carpenter’s The Thing achieves this speciality through spectacle and atmosphere. Half monster movie, half whodunnit thriller, this is a visually imaginative horror film. Set entirely in a lone Antarctic research lab, and opening on some eerie bass guitar riff while a helicopter frantically hunts down a Husky we know we’re in for something different. It turns out that something alien has been unearthed and is killing off the members of the base, one by one. But again, what makes this different from any other slasher movie, is that instead of finding a dead body, the creature is able to morph into humans, therefore disguising itself as its victims. This gives us a hybrid of an Invasion of the Body Snatchers movie meets Hitchcockian murder mystery. Intensity ramps up as we lose track of who is good and who is the creature and the characters lose trust in each other. Add to that, some astonishing nightmare-inducing practical effects. Since the creature is always morphing and changing, the make-up and physical models are extremely imaginative. This is a fascinating film to watch that is a lot of fun to experience and chilling in every way. 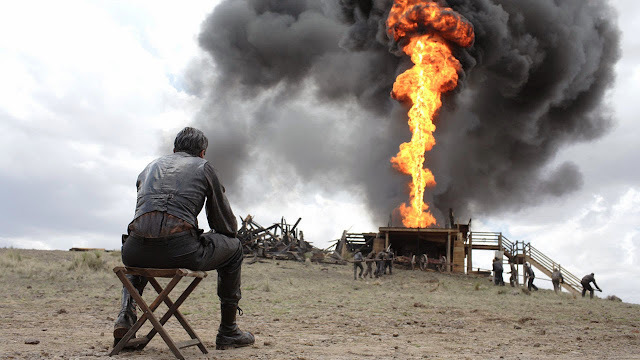 This story of an ambitious oil prospector, Daniel Plainview, in the early 1900s is a marvelous film that draws numerous parallels to today’s energy markets and the capitalization thereof. The way that our main character (who, in a Citizen Kane type of homage, is a downward spiraling villain) undercuts his friends and his surroundings to monopolize an oil industry is a perfect tale of greed. Embodying this curious madman is Daniel Day-Lewis in my favourite performance of all time. A towering performance that demands your attention and is unlike any other film creation. Both him and director Paul Thomas Anderson manage to make you understand if not feel for this monster. Matching Daniel’s magnetic performance is Paul Dano as his antagonist and the local preacher who is in a constant power struggle with our oil tycoon. The direction and cinematography bring about an epic scale reminiscent of Lawrence of Arabia, and looming scenery which reflects the goals of Plainview. The score by the creative Johnny Greenwood (of Radiohead fame) is wholly unique and helps to give this film a singular voice of calculated chaos. There are many standout scenes in this nearly 3 hour epic, but hold on for the final 10 which concludes the insanity with bowling balls, false prophets and milkshakes. "If we can’t make memories, we can’t heal." A good metaphor for this film is a jigsaw puzzle. If the puzzle had two sides that mirrored itself across opposite corners. 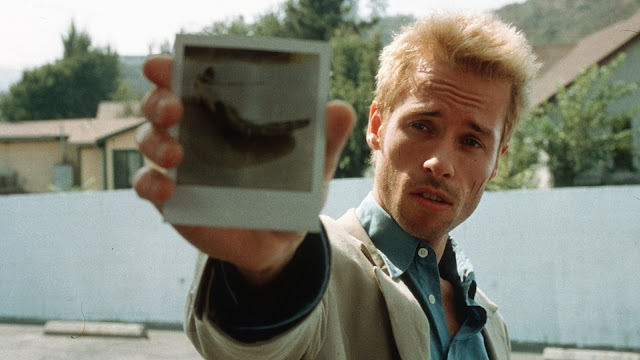 In its simplest form, Memento is the story of a man who has no short-term memory and is trying to solve his own case of who murdered his wife. This leads to an interesting scenario where if he discovers a new clue, he will forget it if he doesn’t tattoo it to himself or write it down somewhere. This performance is charmingly done by Guy Pearce and he evokes both moments of gravitas and levity at the switch of a button, much like his illness. This would be a great film on its own, but puzzle-master Christopher Nolan adds another layer to the narrative to help put us in our hero’s shoes. The scenes are presented in reverse order and like his memories, each scene is only about 5 minutes long. We start with (presumably) the end and go in reverse order. What’s more, is in true film-noir style we get a form of voice-over narration that presents some flashbacks. These segments are in black & white and in forwards order, but spread out amongst the coloured reverse order scenes. It may all seem complicated but after the first few switch arounds, you get it. Nolan knows how to lay it out in a comprehensible manner, but just enough confusion to let you into the character’s head. "It’s an entirely different kind of flying, all together!" The term ‘laugh-a-minute’ is an understatement here. The writer/directors of this comedy classic decided that in order to get people to laugh, they would throw literally every joke they had at the screen in hopes that most of them stick. Which they all did, with the exception of a couple dated pop-culture references. The key is in the type of jokes. Comedy can be very subjective, but what tends to be universal, are the simple instant jokes. Not necessarily lowbrow, but ‘easy-to-get-silliness’. Puns, sounds effects, sight gags, word-play and non-sequitur randomness are all flying out every other few seconds. Another key to their formula is the hiring of serious actors to give deadpan performances. Due to the amount of zaniness on screen, it helps to have the characters not in on the jokes, which would otherwise result in overkill. 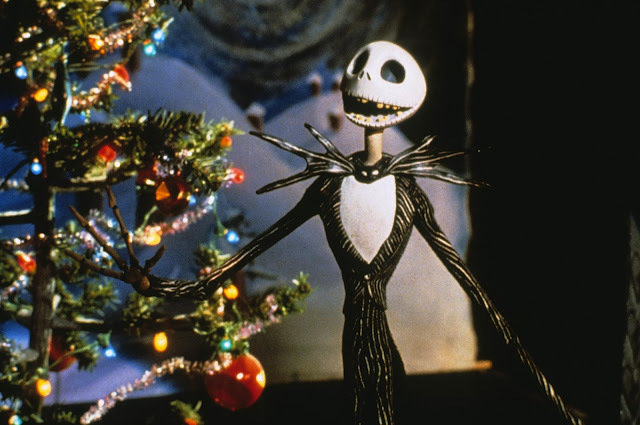 The film is infinitely quotable and insanely re-watchable for all ages. Surely, over 30 years later, this is still one of the most beloved comedies of all-time. And I did mean to call you Shirley. "I love rumors! Facts can be so misleading, where rumors, true or false, are often revealing." An homage to the ‘men-on-a-mission’ WWII films from the 60s and it also has its own modern voice in Tarantino’s film language. This is a movie that hits all the right notes. Tarantino’s writing is crackling and never loses our interest. He writes each character out in full and still gives the impressive cast of actors room to do their own thing. 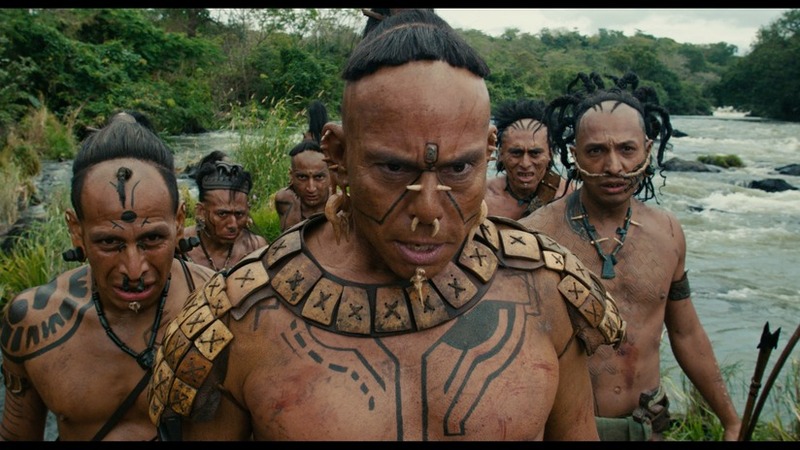 Christoph Waltz in particular steals the show and chews the scenery as the multi-lingual villain. Tarantino’s direction manages to be both subtle and bombastic when it needs to. He knows how to gently ratchet up the tension in lengthy scenes until it becomes unbearable and he hits us hard with a payoff in each and every scene. As usual, his music choices are interesting yet complimentary, and his genre-blending is fresh. Once again, Tarantino’s love of film shines through. Several scenes including the climax revolve around a movie theatre. 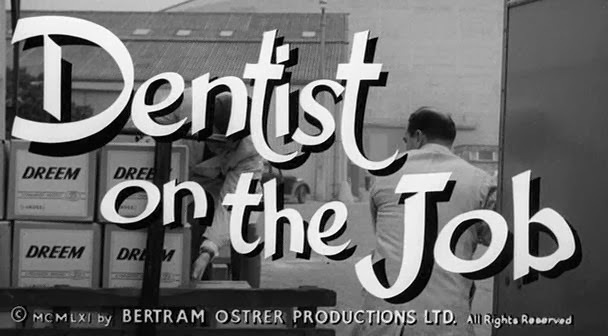 As it turns out the main weapon of a number of characters is Presentation: one of the main characters is an actress, the villain Landa portrays several false fronts, the Basterds disguise themselves, there is a film critic disguised as an officer, Fredrick Zoller struggles to be anything more than a famous war-hero and Shosanna uses a literal film presentation as a weapon. This is a wonderfully written film about actors with hidden identities and the power of cinematic persuasion. "Whoever saves one life, saves the entire world." A film about the Holocaust is no easy watch. Presented in effective black & white and handled with a ‘matter-of-fact’ approach, Spielberg makes a mature elegy that never feels over-sentimental nor is it a chore. What’s truly effective about the film which sets it apart from a History Channel documentary is the focus on the two main characters: Schindler and Goeth. The latter is presented solely as a cold-hearted villain and is meant to represent the face of the Nazis and their acts. Schindler on the other hand is much more complicated and delivers our humanistic drive through the film. It could have been too easy and ironically Spielbergian to have him be a hero from the start. But he is presented honestly at first as a level-headed war profiteer, until bit by bit he is transformed by humanity and becomes almost Saint-like by the end. Neeson’s performance as Oscar Schindler is beautifully nuanced and is utterly convincing in his change of heart. This character epitomizes the themes in a truly effective drama laced with facts and emotions. 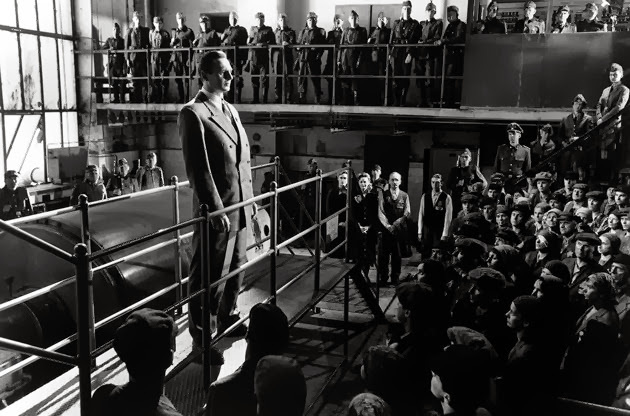 Schindler’s List teaches us to learn from the past in the hopes to never repeat such atrocities. "The secret impresses no one. The trick you use it for is everything." Like Memento, this is a structurally complex little mystery by the always fantastic Christopher Nolan. In this case we have a film laid out like its own subject matter: a magic trick. It lays out the premise of two rival magicians who set out to top the other one. Then bit by bit, through misdirection and slight of hand, we witness tricks in front of our eyes. Nolan uses his patented layered editing techniques to weave scenes from this riveting story out of order. We flash-forward, we flash-backwards, and it is all told in an order that makes sense for the character motivations. Then, in the end, a trick has been pulled on us and its players. This is a fascinatingly woven film that shows the possibilities of using editing to tell a story through its structure. Of course, the story itself is a great tale of rivalry, jealousy and dedication that delicately balances the power between our two magicians. One minute you are rooting for Hugh Jackman, the next you are rooting for Christian Bale. It flips and flops but never becomes disjunctive; the film remains a well-crafted homogenous mood piece. 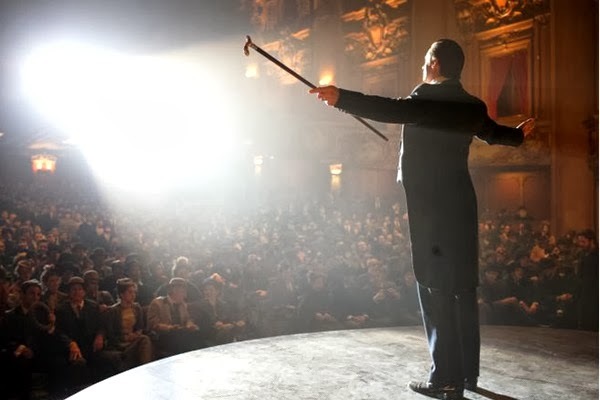 The Prestige commands my attention and I love re-watching it because I want to be fooled. As per the majority of films on this list, for me, a general necessity for greatness is ‘entertaining.’ So why this purposely dull film? It depends on your definition of entertaining. 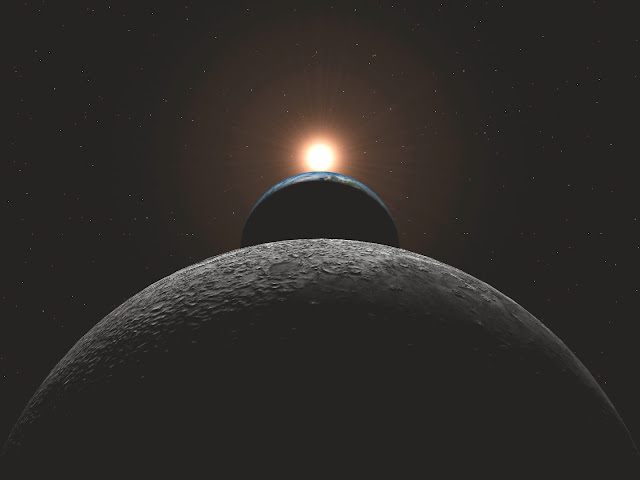 Yes, it is slow and long, but 2001 is mesmerizing in a meditative way. I am always captivated while watching this film whether it’s because of the quality of technical filmmaking, the beautiful images and music or the general thoughts that float through my mind. Stanley Kubrick’s atmospheric direction lulls me into a sense of wonder and awe. The drawn out shots let me observe and reflect upon the minimalistic ideas that Arthur C. Clarke’s source material evokes. What role does technology play in our lives? How much have we actually evolved? What is our next logical leap in evolution? How long is the Blue Danube Waltz? Despite having so little happen plot-wise, there are nevertheless so many memorable scenes and images. The saying ‘An image is worth a thousand words’ definitely applies here. 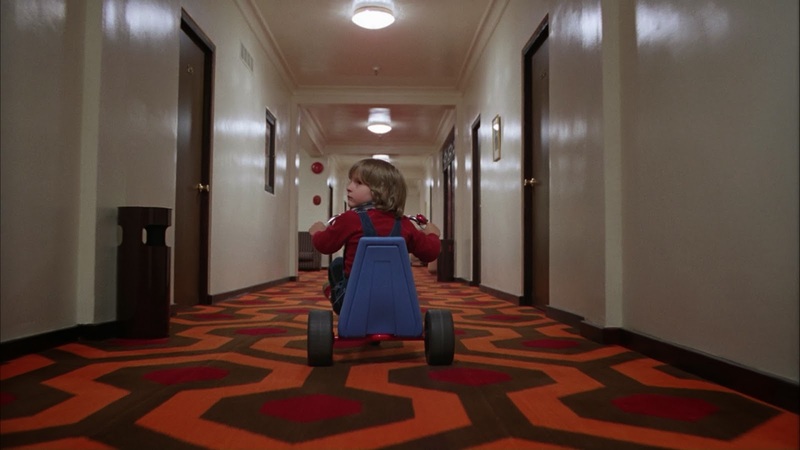 Kubrick is the master of perfectly framed shots and delivers countless images worthy of framing on my wall. On top of that, he adds a cornucopia of sounds and music. There is the elegant classical music to evoke a space ballet, the creepy contemporary music to create unease, the minimalistic sounds of machinery that amplify the sterile technology and the effective use of silence to grip your attention. This is a one-of-a-kind work of art that continues to inspire me. "The following is based on actual events. Only the names, locations and events have been changed." And now for something completely different from 2001. Let’s eschew masterful direction and ponderous images in favour of zany, energetic entertainment. There is absolutely nothing wrong with lowbrow ‘art.’ The comedy team of actors, writers and director of Anchorman achieved something very special. 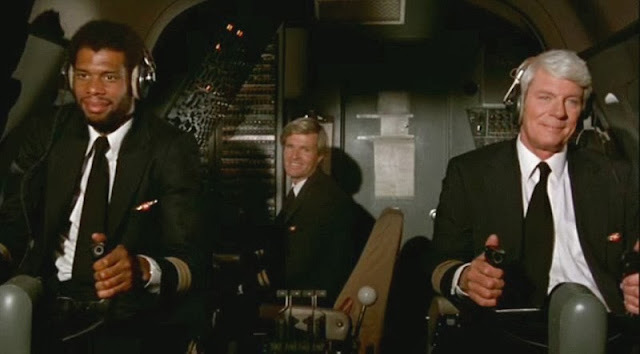 Like lightning in a bottle, they put together a heavily improvised comedy that does not get old and remains as infinitely quotable as Airplane! Every character is a funny buffoon, but still lovable. When I watch the movie, it’s just like hanging out with this fun bunch of guys. These guys who are loosely following some semblance of a storyline, and along the way are making up absurd lines to crack us up. Around the improvisation, they placed hilariously fun sketch-like scenes like the jazz flute performance, the West Side Story type brawl and the Afternoon Delight sing-along. If for no other reason, I love this movie because it always brings a smile to my face and the jokes don’t get old. They continue to work because it is not necessarily what the characters say, but how they say it. The deliveries are exaggerated, energetic and curiously odd. They could be saying anything, hence the improvising, and it would make me chuckle. 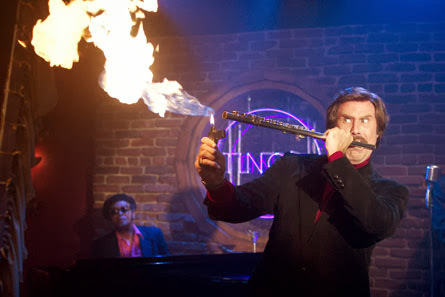 Anchorman is the most I ever laughed with a movie, and it’s one that I continue to watch at least twice a year. A little character development goes a long way. And this charming little robot goes a long way to my heart! Taking a large reference point from Charlie Chaplin’s character The Tramp, Wall-e himself is a wonderfully developed creation in honour of the silent era. He is one of the most richly formed personalities put to screen. You get who he is just through his actions and maybe three words that he can say. We learn everything we need to know about this future world through images and sound effects. This is the power of film over other mediums like literature. Movies tell stories through moving imagery. The storytelling by the Masters at Pixar shines through and they deliver a cute story about environmentalism, but more importantly, this is a story about love! The nuances of Wall-e’s endearing affection towards EVE is adorable and melts my heart every time. The music, his ‘beeps‘ and ‘boops’, his ever focusing lenses and his quaint movements tell us how he feels despite being a little trash compactor. Not surprisingly, the animation is beautiful as well. A gorgeous Blu-Ray: the details in the arid Earth, the vast outer-space and the Apple-designed spaceship are meticulously imagined and realized. Plus, the director’s inclusion of minute hand-held tactics (in an animated film, no-less) creates the effect that we are a fly-on-the-wall observing this relationship as it unfolds. This film has it all for me, and it tells an adorable story through direction and animation: the definition of true film. A film doesn’t have to be perfect for me to love it. There’s a reason big fun ‘popcorn movies’ keep coming out. They may not have the smartest points to make, or the most richly developed characters but they are a blast to watch. Jurassic Park is such a film that continues to entertain me on a bi-yearly basis. Even though it does have some interesting points to make on the dangers of meddling with nature and some character development with Dr. Grant and his parenting abilities, the draw here is the spectacle. Spielberg gives us the thrills, the growing tension and the miraculous moments, but he also makes a film that is fun despite it being a disaster movie. The characters may all be one-note, but they are all memorable and logical enough to exist in this film. I enjoy hanging out with them and find each and every person in this film to be a favourite of mine. In true Spielberg fashion, the film achieves a fantastic balance between fun and thrilling. 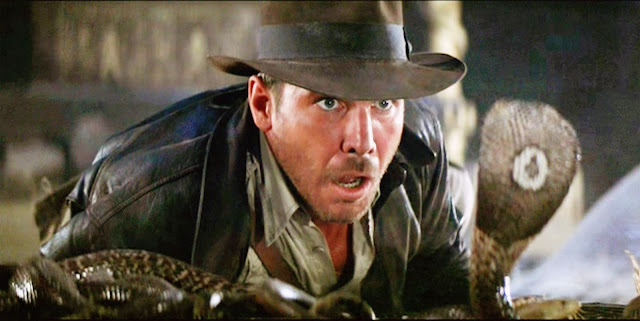 John Williams’ music certainly helps, and Crichton’s story is inventive, but the direction lands a perfect tone to make this roller-coaster weave up and down. 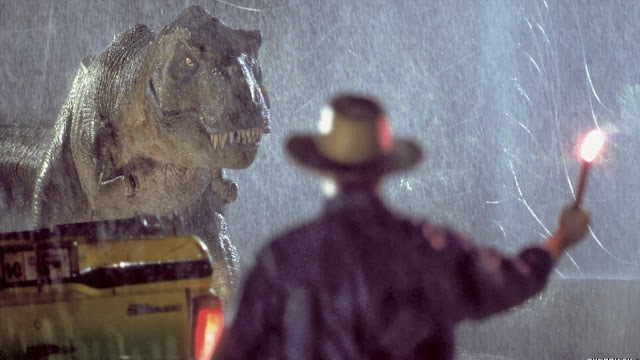 One minute we are relishing in the majesty of a triceratops up close, then in the next we are stuck in the middle of a whirlwind of events leading to my all-time favourite scene ever put to film: the T-Rex Attack. It is a perfect combination of ramping intensity, sound design, practical combined with computer effects and direction. This scene floors me every time. That is not to say that the rest of the film doesn’t deliver as well, this is a exhibition of perfect action and fun times! 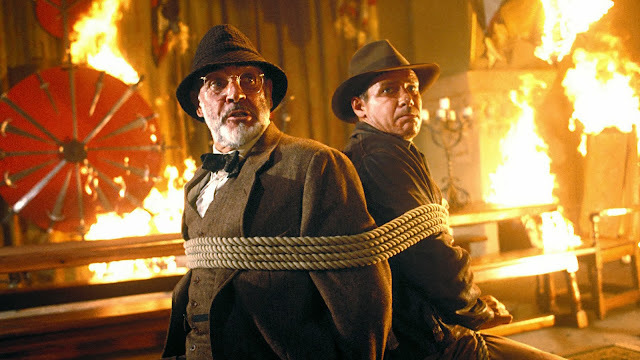 It is also interesting to note that Spielberg made this movie in the same year as Schindler’s List and they marked a huge comeback after his worst film Hook. "I can’t see anything I don’t like about you." Taking the opposite approach of Jurassic Park, this is a wholly original non-thrill-ride that aims for perfection on all other fronts. For me, this is great acting (particularly from a nuanced toned-down Jim Carrey), great music, great visual directing, great cinematography, great editing and a great screenplay. This is the fourth entry by screenwriter Charlie Kauffman on my list. He brings his unmatched level of creative genius of course, but here he also brings a warm heart which can be lacking in his other films. After a 20 minute prologue, this is the story of a man and woman who meet and have a cute little relationship for a bit, until they decide to breakup. However their method of breakup is to use a new technology that erases any memory of the other person from their mind. 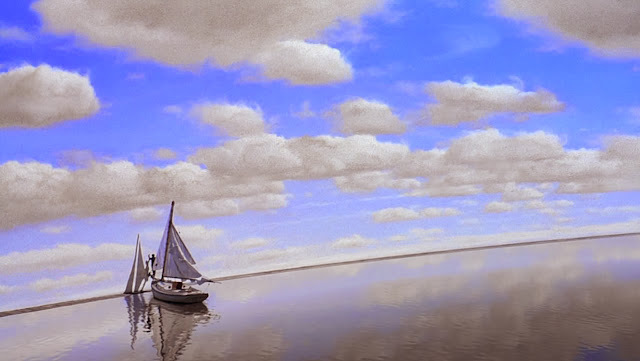 The film takes off as we go into Carrey’s mind during this process and experience his memories. 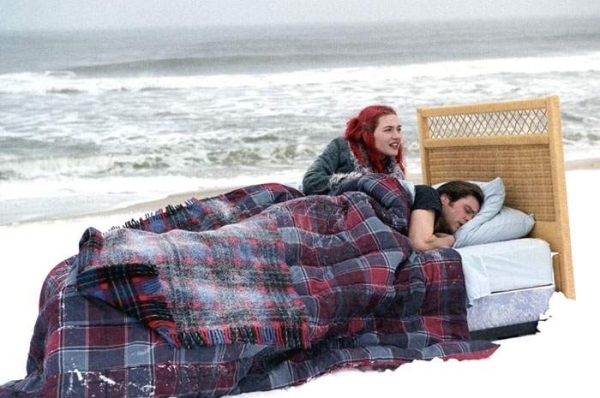 Director Gondry projects unique images to evoke dreams and memory. His unique visual style captures what I believe our dreams look like. Steeped in realism, but fuzzy on the details. The editing and set design are miraculous as we are streamlined from one setting to another. The entire film creates a style all it’s own. The look encapsulates the themes of loss and nostalgia. For me, this is an emotional film that gets into my head and into my heart. Despite the amount of heartbreak, it has what can be interpreted as a very optimistic ending that touches on the inevitability of destined lovers. Overall, this film just hits all the right notes for me by being emotional and undeniably creative (on a visual and conceptual level). Every film should strive to be of this high quality and this creative. This is a film that strives for a higher level of art, which can only be experienced in this medium.